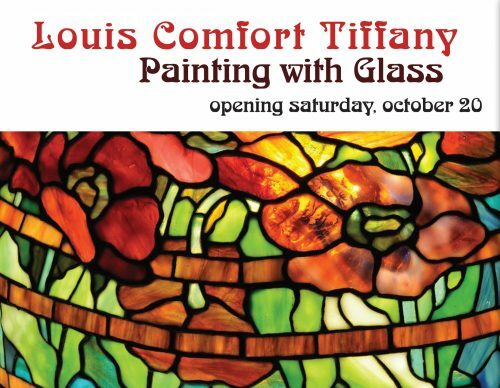 The name Louis Tiffany is synonymous with glass. A traveling display in the museum’s Carlson decorative arts gallery highlights the Tiffany Glass Company’s work of the late 19th and early 20th centuries. Items on loan from Roswell, Georgia, collector Tom Wester, features three stained-glass windows, blown-glass vases and lamps. Also on view are pieces of Tiffany favrile glass from the museum’s collection.